, they advertised the special edition with a slip-case and showed it in the photo. Customers who got their copies of the book from Amazon.com have complained the slip case was missing. I went back to the Bob Dylan site and sure enough they said the book had a slip-case and used the illustration in the featured image above. Here is the page from bobdylan.com this morning at about 5 AM ADST October 29th which advertises the slip-case in the last paragraph and photo. I put my on detective hat and started tracking the missing slip-case. Simon and Schuster did not detail a slip-case for the book. I wrote them and explained that bobdylan.com advertised a slip-case edition. Would be sending buyers a slip-case? No answer yet. I also wrote Amazon.com and pointed out that while they didn’t have the slip-case in their product description, the “slip-case edition” link from bobdylan.com led directly to their page. No answer on that one either. I also sent an email to Sony.com Send Us Feedback pointing out they promised a slip-case on the page. It looks like Sony is going to weasel out on the advertised slip-case at this point because they didn’t reply. But Sony did delete the words “slip-case edition” from the page and changed the photo sometime after I sent the email. Well sorry Sony.com. You will have to come good for what’s advertised, at least one would expect them to keep promises. Hi Stephen, Thanks for contacting us. 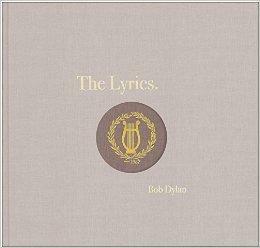 Unfortunately, only the signed version of THE LYRICS: SINCE 1962 is sold with a slip case (available at www.dylansignedbook.com). The regular format, without the author’s signature, is not available with a slip case. Additionally, we have confirmed that it is not advertised with a slip case on Amazon.com or any other retailer sites. We apologize for any confusion. Please let me know if you have any other questions. I wrote Stephen back and brought him up to speed on the bobdylan.com marketing which does not match his version. Follow me on Twitter at @sdpate or on Facebook at NJN Network, OyeTimes and IMA News Buzz. You can also subscribe and automatically receive notifications of new stories by email. We do not share your email with advertisers. The subscription form is on this page in the left and right columns. My toilet is the pits.